That's Another Story: What Kids' Books Are You Reading? Oh, I think you're going to love A Curse Dark as Gold. I read it recently and am going to blog on it tomorrow. I just finished A Fault in Our Stars by John Green, and am about to start A Million Suns by Beth Revis. I enjoyed A Fault in Our Stars! I recently read A Million Suns, too. It sounds like we enjoy the same kinds of books. 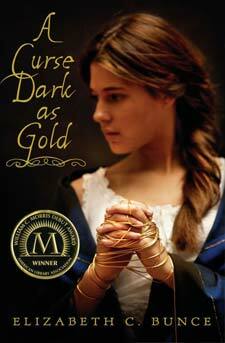 I want to read Elizabeth Bunce's other books after reading A Curse Dark as Gold. I just finished Insurgent and loved it. And am starting Rock of Ivanhoe. Loved A Curse Dark as Gold! 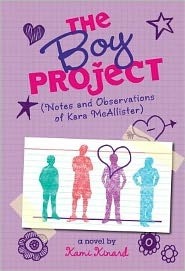 (Then again, I'm lunch buddies with the author so I may be a wee bit prejudice. lol) I was going to recommend The Fault in Our Stars too. Just finished it and wept like a baby. Really wonderful. i really dug 'under the never sky' by veronica rossi. 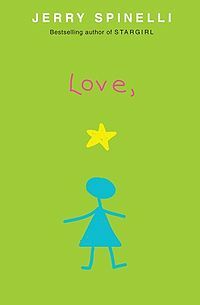 'wonder' is a middle grade book i highly recommend - i think a ya audience would be into it because there are quite a few teen characters. I love finding books that fit that middle ground between MG and YA because some readers transition from MG to YA differently than others. Heart of a Samurai and War & Watermelon (which I reviewed today) are two that fit this category well. Okay for Now definitely does too. Funny, I'm doing the opposite of you this month--reading Cold Cereal.